Our club is committed to youth sailing. 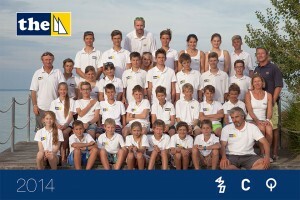 We teach hundreds of kids sailing during the summer holiday in the camps. The most talented from them can continue training in our club. 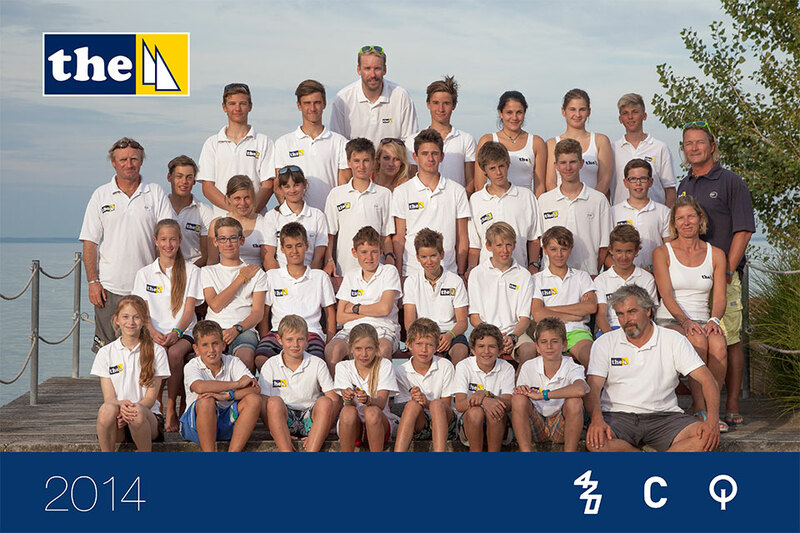 We have a team of more than 70 young sailors, who compete in different classes: Optimist, 420, 470, Laser and Finn. 4 fulltime trainers coach them during the sailable 8-9 months of the year on lake Balaton. 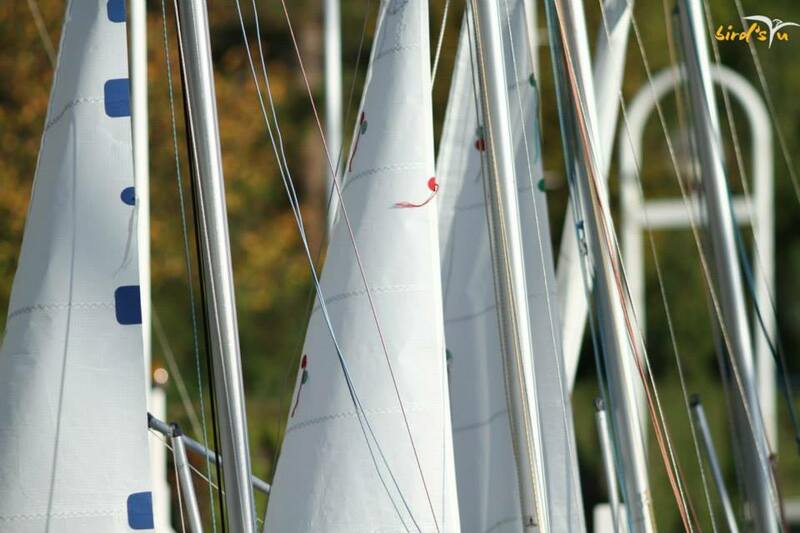 Youth competitors, who train with our coaches on a regular basis in Optimist, 420 or 470 classes. Size of the fee: 30.000 HUF/month, to be paid in the whole year (12 months). For siblings, 27.000 HUF/month, for 12 months. The payment: can be paid on a monthly-, quarter yearly, half-yearly or yearly basis. Possibly via withdrawal to our bank account (details below). Otherwise, payment is possible in cash at Andi Rutai. Membership fee includes: all year round training and competing. The boats and other equipment are the property of the club, those reparation and change are done by the club. 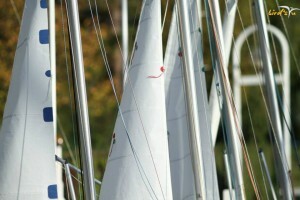 Each sailing class operates with a coach, who follows them in a rubber motorboat, paid by the club. Fecilities of the marina and the clubhouse are avalible to the sailors. 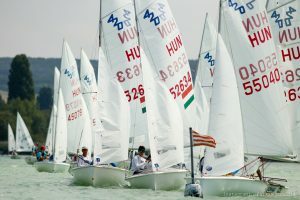 The Hungarian regatta’s entrance fee and other fees regarding sailing in Hungary are paid by the club. For foreign regattas, the club garanties the coaches, the shipping of the boats, and a minibus for the travelling. Other fees will be shared among parents of the travellers. Members, who sail big boats or other classes. Size of the fee: 60.000 HUF/year. For those who park their boat in the marina, 50.000 HUF/year, for students 30.000 HUF/year.It includes the fee of the Hungarian Sailing Association. The rest is to support our youth sailors. The payment: Must be paid till the 10th of April to the bank account of THE (details below). Otherwise, payment is possible in cash at Andi Rutai. Membership fee includes: The fee of the Hungarian Sailing Association (MVSZ), entrance to the marina and the facilities, without parking. Those who stopped training with our coaches can continue racing, but still, want to race, or just want to be members of the club. Size of the fee: 60.000 HUF/year. Includes the fee for the Hungarian Sailing Association. Members can visit the marina anytime, can join the training with unused or own boat. But if someone wishes to go to every training, they have to pay the racers fee. Discounted fee: 30.000 HUF/year. As long as you are studying and do not have your own income, you can have a 50% discount. Terms of this discount: after you get your own income, you have to stay a member of the THE for as many years, like many you have been with a discount. Tihanyi Hajós Egylet, address: 8237, Tihany, Kenderföld u. 19. Youth sailors fee is paid by the coaches. You must download the form below, fill and sign it, and give it to them in the spring every year. If the form and the fee both arrive, sailors will be signed to the club in the MVSZ system. We are grateful if you offer 1% of your taxes to the club! The income will be used to support our youth sailors.